From that list, I’ve extracted agreements with individual companies. Below you will find tables listing SAAs that NASA has signed with Lockheed Martin, Northrup Grumman, Space Systems Loral, Google and Teledyne. THOUSAND OAKS, Calif. (Teledyne PR)–Teledyne Technologies Incorporated announced today that Dr. Lisa Porter will be joining its subsidiary Teledyne Scientific & Imaging, LLC (TS&I) as Senior Vice President. In this capacity she will have responsibility for technology commercialization efforts, technical operations and general management. 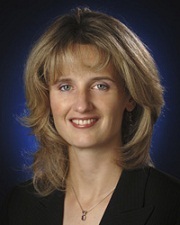 Dr. Lisa Porter was the first Director for the Intelligence Advanced Research Projects Activity (IARPA) in the Office of the Director of National Intelligence. She was responsible for standing up IARPA and setting and executing its strategic vision and direction. Prior to IARPA, Dr. Porter served as the Associate Administrator for the Aeronautics Research Mission Directorate at the National Aeronautics and Space Administration (NASA). She has also served as a program manager and senior scientist in the Advanced Technology Office of the Defense Advanced Research Projects Agency (DARPA).